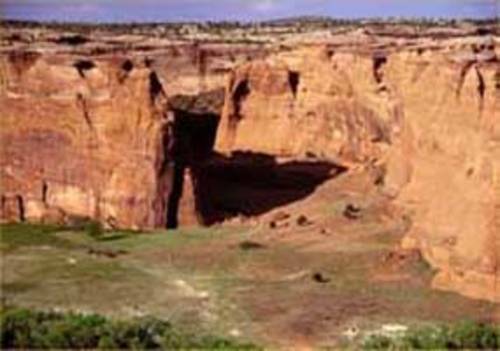 Ancient Pueblo and Navajo people have inhabited this site for thousands of years, and dwelling ruins are abundant. Today approximately 40 families call this their home, and their people manage the land. The Navajo people were expelled from their land by Kit Carson and his troops in 1863. Today none of the land is owned by the United States, making this the only national site jointly operated by the United States government and the independent Navajo Nation. The park, which is located in eastern Arizona, is accessible by car from Phoenix within a day. The drives on the north rim and south rim are accessible by car, and visitors can see ancient ruins in the distance from these roads. Touring the canyon is permitted from the White House Ruin Trail, but access to the canyon and canyon floor is prohibited except when accompanied by an arranged Navajo guide or park ranger. Tours are arranged at the visitors center or lodgings around the site and guide fees vary. 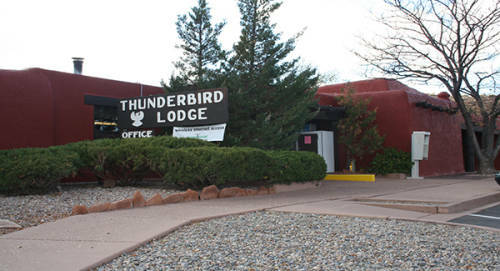 Thunderbird Lodge is the only lodge located inside the park, and is the closest hotel to the Canyon de Chelly National Monument. The red-adobe construction of the lodge itself is reminiscent of ancient pueblos, and the presence on the property of an old stone-walled trading post gives this the Thunderbird Lodge a lot of character.